Little Life of L: ProjectLife // how I am keeping it simple. 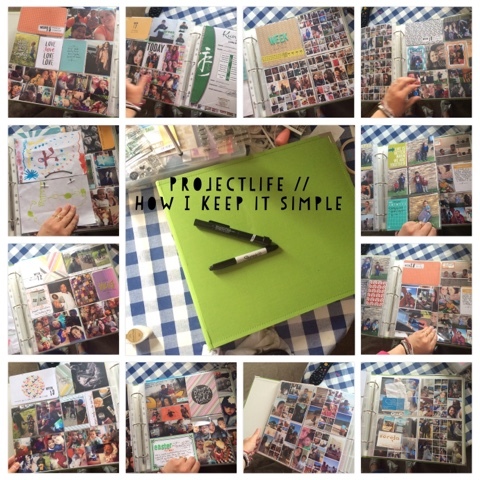 ProjectLife // how I am keeping it simple. I love my ProjectLife/Yearly albums - I really do. I love creating them, curating them and making them part of my life. It makes me super happy. I don't like all the time they can take up. Last year I look the quick way out and creating just a simple photo album. This year I wanted to go back to a ProjectLife weekly style album. And I have take steps to make it work for me. I talk more about the hows and why in my video below and give you a guided tour of the album so far!! Here's some of links to what I use. The ProjectLife App - Its really easy to use, and the print quality is good. Plus I can lay in bed on a sunday evening and work on my layouts. Photobox App - Again, I can upload direct from my phone and print at the end of each month. I use projectlife albums and page protectors which you can from Hey Little Magpie here in the UK. I have no new stash and am making do with what I have. (Though I will need to get some new pens and adhesive soon!) but I did pick up a few bargain pieces at TK Maxx. Hope you like the video - any questions, anything you want to see more off just hit me up in the comments box! !